My music therapy sessions are generally filled with much singing and lots of percussion. 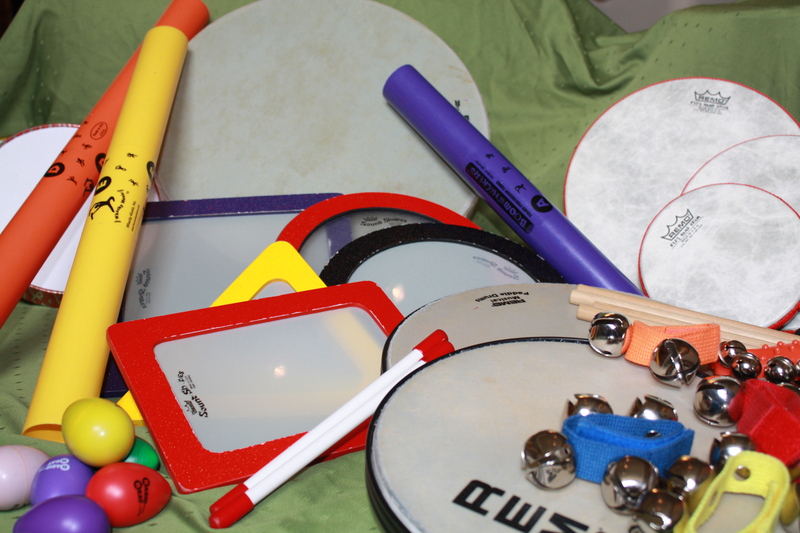 My percussion “regulars” are paddle drums, frame drums, shape drums, a buffalo drum, egg head shakers, jingle bells, and rhythm sticks. I also love using my boom whackers and some tambourines. Amazingly, people of all ages know what to do with these instruments and are rarely shy when playing them.